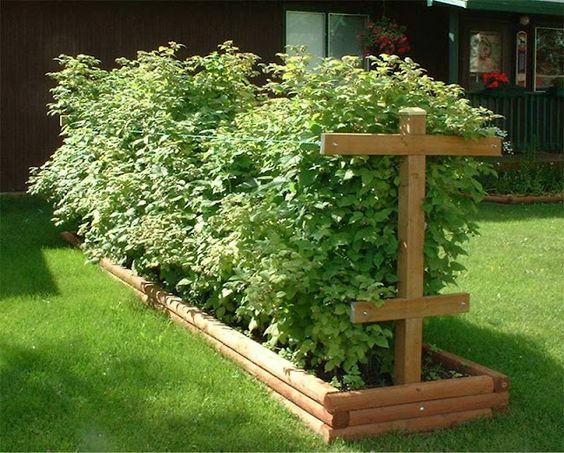 Raspberry plants. Start off with 18" between plants & they will spread over time. That's why it's good to have it contained in a raised bed.